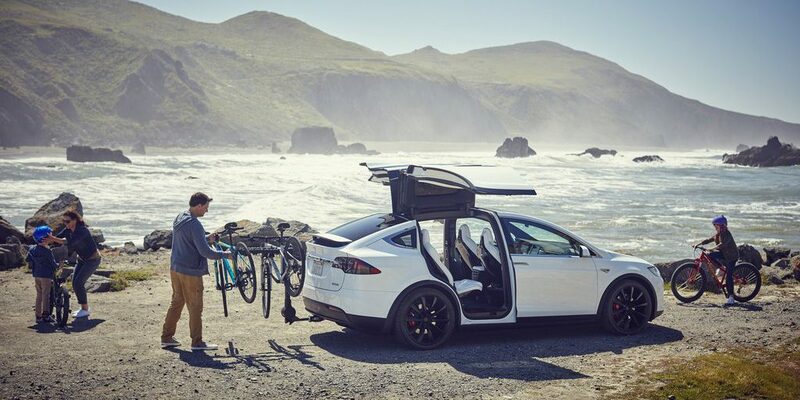 Tesla is now selling its new Model X hitch bike rack on its online store for $539 – not including the accessory hitch which costs $200 factory installed when ordering the Model X. The automaker says that the rack was “designed exclusively” for the company. It is built by Yakima since it features its AutoPin™, SpeedKnob™ and ZipStrips™ locking mechanisms. It is rebranded with Tesla’s logo and attached to a $40 premium on the Yakima branded original rack. The Model X’s hitch is designed to support up to 120 lbs. Considering the rack itself weighs about 44 lbs, you can install two bikes of up to about 40 lbs or up to 4 bikes if they weigh less than 20 lbs on average.